Art galleries have a little something for everyone. A trip to an art gallery is bound to be an inspiring experience, whether you’re an art aficionado, casual fan, or just looking for the next great piece for your living room. Arizona houses some world-class galleries fit for a variety of palettes. These art galleries feature the best in local and international talent and are found in everything from arts districts to small co-ops. Here are the best art galleries to visit in Arizona. Located in the Roosevelt Row arts district, Modified Arts is a downtown Phoenix hub for contemporary art. The gallery showcases local, national, and international artists and seeks to provide a fresh perspective for collectors. Modified Arts monthly exhibitions features contemporary art works in a variety of medium. Housed in a large open warehouse, the gallery includes paintings, sculptures, photography, and multi-media work. On the Edge Gallery is owned and operated by 40 local artists. The gallery opened “on the edge” of Old Town Scottsdale’s arts district and runs entirely off the efforts of local talent. This 2,000-square-foot gallery includes art created from several mediums. Works include pastel, oil, acrylic, jewelry, ceramic, glass, and much more. Artists are also on site daily to manage the gallery, answer questions, and perform demonstrations. The Etherton Gallery is one of the leading galleries of fine art photography in the United States. Established in 1981, this gallery is regarded for its large numbers of classic and contemporary photography. Etherton Gallery exhibits works by top local and regional photographers as well as painters, sculptures, and mixed-media artists. Located in Tucson’s historic downtown, Etherton is one of the Southwest’s premier galleries and features museum quality works. King Galleries showcases the best of Pueblo pottery and features the work of many of the top potters in the world. Founded by Charles King, this Scottsdale gallery represents work by potters renowned for their skill and innovation to the art of pottery. The Native American pottery gallery accepts only the best works in the field and each piece is hand coil built, stone polished, and painted. The Sedona Arts Center's Fine Art Gallery is perhaps Sedona’s best-kept secret. The gallery is comprised of a large selection of artwork by local artists that are both professional and emerging. The works are representative of Sedona’s arts scene and is comprised of a wide selection of styles and mediums including photography, jewelry, and fiber arts. In addition to their eclectic mix of works, the Sedona Arts Center hosts a new themed exhibit every month. Xanadu Gallery bases its name from the legendary city of Xanadu–where Kubla Kahn gathered the finest art and treasures from his kingdom. Xanadu is located in the arts district of Old Town, Scottsdale and houses its own treasures from Scottsdale’s best artists. Its showroom displays an eclectic mix of sculptures, glass art, and conceptual art. Additionally, local artists works can be found on Xanadu Studios–a virtual gallery with purchasable works from top-selling artists. 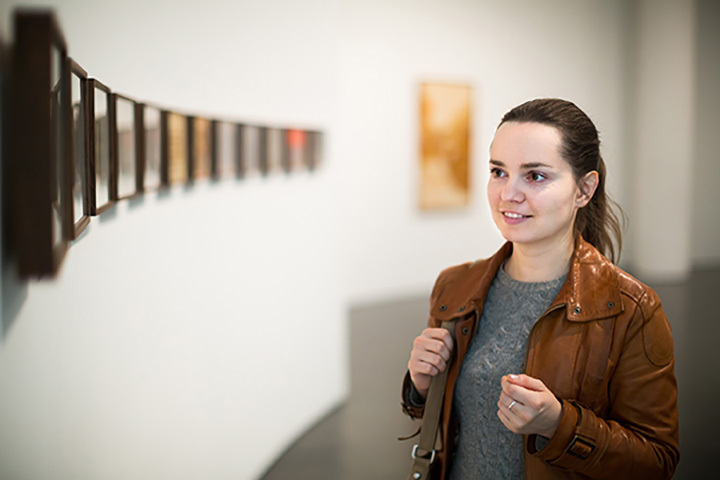 The Center for Creative Photography is located at the University of Arizona and is recognized as one of the finest academic art museums for the history of photography. The center was co-founded in 1975 by famed photographer Ansel Adams. Adam’s career spans seven decades and is renowned for his influential portraits, stills, and landscapes–notably of the American West. The Ansel Adams Archive at the Center for Creative Photography includes 2,500 fine prints from Adams remarkable career. Additionally, it includes memorabilia, unfinished writings, work prints, and equipment from Adams career. The Jerome Artists Cooperative Gallery is managed and maintained by artists committed to showcasing their work in the city of Jerome. The Cooperative Gallery opened in 1996 with 20 members. It has since grown in both location and size, as the 2,500-square foot gallery now includes the work of 33 exhibiting artists. Artists from around the state contribute to the gallery that includes a range of media and subject matter. Everything from recycled jewelry, ceramics, watercolors, and stained glass can be found at this kitsch gallery. Owned by the city of Chandler, the Vision Gallery is a non-profit art gallery featuring over 300 local and regional artists. A portion of all art sales help to fund the Vision Kidz Program, a series of art education workshops offered to community. Local and regional artists work are on display in rotating exhibits and range from oil and acrylic canvasses to sculpture and ceramic works. Art One Gallery owner Kraig Foote has helped emerging artists display their work since opening in 1993. Foote has been working with local high school and college students in order to showcase their talents and help them move up the ladder in the gallery world. Located in Old Town Scottsdale’s art’s district, the gallery hosts weekly art walks on Thursday nights where originals, posters, sculptures, and photography are on full display. View more Arizona Art Galleries.